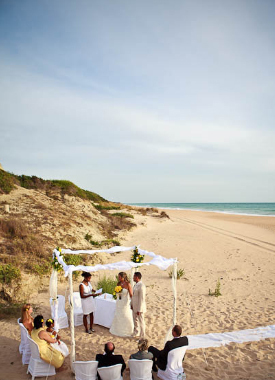 Experienced wedding planners and wedding caterers in Marbella, will ensure your wedding in Marbella is an enormous success. Events in Marbella as part of One Group in Spain have the elite wedding planners and wedding catering services in Marbella covered for all of your requirements. Our team of dedicated, knowledgeable staff are here to assist you and ensure that your wedding venue, celebrant, equipment, flowers, decoration, and much more are organised exactly the way that you want it, at exactly the budget you have. As with all our event planning services in Marbella, we always send initial no-strings information, prices and images via email to help you gain the inspiration you need to start planning your big wedding day in Marbella! Our event management team can pull together all aspects of any sized Event in Marbella, not only a wedding. If you are organising a wedding in Marbella for someone else, or simply have some questions about the legalities or regulations about getting married in Marbella, Spain - we can assist you in all aspects. Our services extend far beyond professional wedding catering in Marbella and we can provide you with equipment hire for your weddings, design, entertainment and accessories for all types of events and weddings and much more.